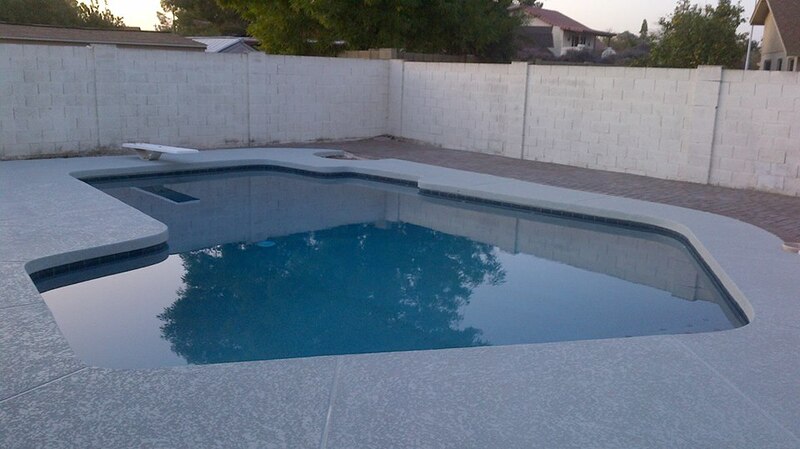 AZ Pool Care Repair & Remodeling is a complete resurfacing (Plaster, Mini-Pebble, Quartz, Beadcrete), service, maintenance, and repair company serving Phoenix AZ, Mesa AZ and the surrounding communities including Scottsdale, Chandler, Gilbert, Tempe, Chandler Heights, Higley, Gold Canyon, Ahwatukee, and Apache Junction. We help our customers enjoy a properly maintained backyard swimming pool where they can cool off and enjoy a mini vacation anytime they desire. One word describes the service and work performed by AZ Pool Care Pros - OUTSTANDING! They completed repairs to my pool deck, cleaned the ages old hard water from my tiles, and repainted the cool deck so the whole pool and deck look brand new. For 2 years we struggled to make a pool cleaner actually clean the pool with terrible results. This company recommended a completely different type of cleaner and like MAGIC, my pool is always clean now and we couldn't be happier! We HIGHLY recommend them. Is so easy to only complain but rarely to compliment good service. Our pool has never looked so good and the staff members are extremely efficient. Thank you! Arizona Pool Care has been doing a wonderful work with my pool. They have been taking care of my old home and a rental property's pool. Every time that I checked on the pool, I saw it in perfect condition. They have a reasonable monthly rate. The service is great. If they suggested a change of filters etc was because it was due! I have tried several companies and they are the ones that you want. Ps. you can pay online also!